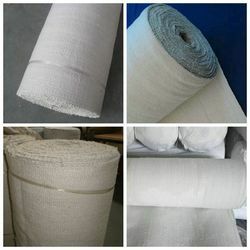 Offering you a complete choice of products which include ceramic fiber insulation rope, ceramic fiber rope, fireproof ceramic fiber cloth, insulation ceramic fiber rope, insulation material ceramic fiber cloth and refractory ceramic fiber cloth. Ceramic fiber round rope, the shape is roud, and it is braided to rope 2. ceramic fiber square rope, the shape is square, and it is braided to rope. Ceramic Fiber Rope is fabricated from ceramic fiber yarn twisted to form a cord of specified diameters, with glass filament or chrome-nickel wire inserted to provide high strength at elevated temperatures. 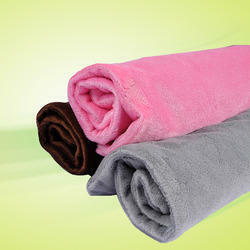 Fireproof Ceramic Fiber Cloth is a woven fabric made from our high quality ceramic fiber woven yarn. 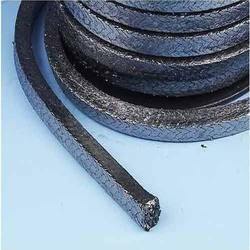 The cloth is reinforced with fiberglass filament, or optional Inconel/alloy steel wire reinforcement. Ceramic fiber textiles (cloth, tape and rope) contain a certain amount of binder material which is normally burned at lower temperature and does not affect the insulation property. It is featured with heat insulation and high temperature protective materials in all kind of thermal installations and heat-conducting systems, widely used in welding, foundry works, aluminum and steel mills, boiler insulation and seal, shipyards, refineries, power plants and chemical plants. Operating temperature is determined by using conditions, heating manners and environment atmosphere, etc. 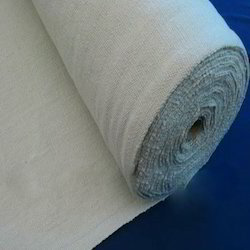 Insulation Material Ceramic Fiber Cloth as a kind of heat insulation material is a woven fabric made from our high quality ceramic fiber woven yarn. The ceramic fiber cloth is reinforced with fiberglass filament, or optional Inconel/alloy steel wire reinforcement. 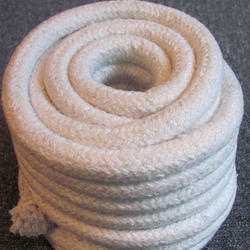 Refractory Ceramic Fiber Cloth includes square braided rope, round braided rope and twisted rope. 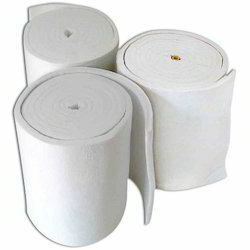 Thermal Insulation Ceramic Fiber Cloth is a woven fabric made from our high quality ceramic fiber yarn. It can be used for high temperature applications up to1260° C.
Thermal Insulation Material is twisted from ceramic fiber strands, used as heat insulation material in thermal installations and heat conducting systems. 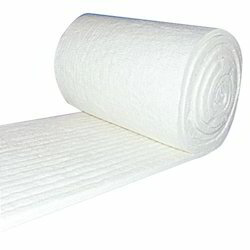 Also can be extensively made into all kinds of ceramic fiber textiles excellent substitute for asbestos. it is a new type thermal insulation fireproofing material has light weight, small thermal conductivity,good performance of thermal insulation ,steady physical and chemical performance. Used in petroleum,chemicals,metallurgy,electric power etc manufacture industry. Our Ceramic Fiber Production including: Ceramic Fiber Cloth, Ceramic Fiber Tape, Ceramic Fiber Rope. Ceramic Fiber Cloth is made of high quality ceramic fiber yarn and formed into different products by different weaving processes. It can be used under a high temperature applications up to 1260 Degree C. Our Ceramic Fiber Cloth is reinforced by non-alkali fiberglass nickel chrome wire. 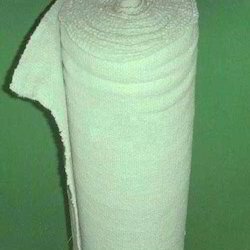 Normally, It's used as heat insulating materials and an excellent substitute for asbestos tape. It includes core rope and outer warp. 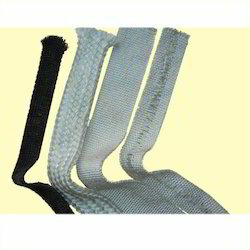 The core rope contains alumino silicate fibre yarn and blanket strip etc. The outer wrap is weaved by using glass fibre or refractory alloy silk according to temperature and condition used. 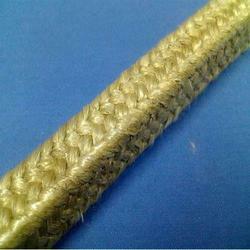 Braided by ceramic fiber yarns and used as heat insulation materials and an excellent substitute for asbestos rope. Normal for stove, burner, heat exchanger, kiln car, chimney door sealing. 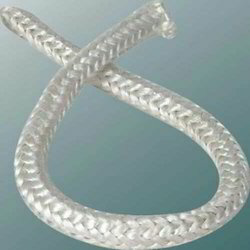 ceramic square rope with metallic wire. 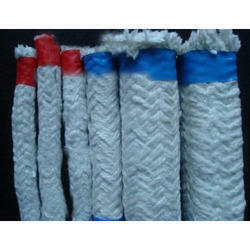 Braided by ceramic fiber yarns and used as heat insulation materials and an excellent substitute for asbestos rope. Heat Insulation Ceramic Fiber Cloth is widely used in various kinds of machines such as injection molding machine,drying machine. It reduces heat transfer to consume less energy for machine working in requested temperature. That’s say our product makes energy-efficient, saving the owner money. Metallic Ceramic Fiber Woven Cloth It canbe made into ceramic fiber cloth covered aluminum foil, ceramic fiber cloth coated vermiculite and ceramic fiber cloth with PTFE according to customer requirements. Ceramic fiber rope is made of high quality ceramic fiber yarns, includes three styles: square braided rope, round braided rope and twisted rope. 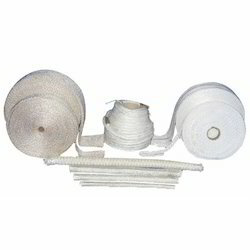 And two type: fiberglass filament reinforcement and stainless steel wire reinforcement. Ceramic fiber round braided rope is a kind dense, resilient and solid rope, it is fabricated from ceramic fiber yarn braided around a core of ceramic fiber rope to form a packing in round section. Ceramic fiber square braided rope is a kind dense, resilient and solid rope, it is fabricated from ceramic fiber yarn braided square a core of ceramic fiber rope to form a packing in square section. 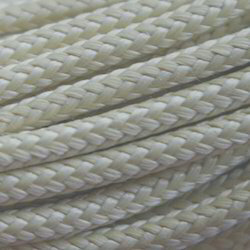 Ceramic fiber twisted rope is a kind soft rope, it is fabricated from ceramic fiber yarn twisted left hand/right hand together to form a rope. Fiberglass filament reinforced rope can be used for high temperature applications up to 650°C, with electric insulating property. Stainless steel wire reinforced rope can be used for high temperature applications up to 1050°C with higher strength. 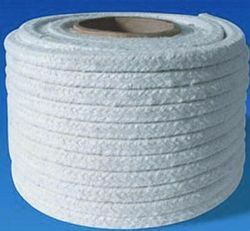 Ceramic fiber rope is widely used as thermal insulation and sealing for stoves, boilers, burners, industrial furnaces, coke oven doors, heat exchanger, kiln car, etc..